While most studies of Shi'i Islam have focused upon Iran or the Middle East, South Asia is another global region which is home to a large and influential Shi'i population. 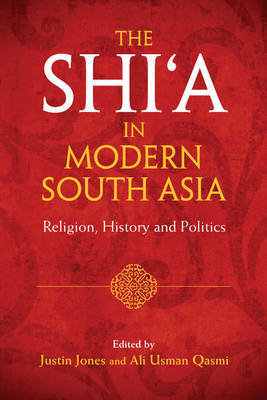 This edited volume establishes the importance of the Indian subcontinent, which has been profoundly shaped by Shi'i cultures, regimes and populations throughout its history, for the study of Shi'i Islam in the modern world. The essays within this volume, all written by leading scholars of the field, explore various Shi'i communities (both Isna 'Ashari and Isma'ili) in parts of the subcontinent as diverse as Karachi, Lucknow, Bombay and Hyderabad, as well as South Asian Shi'i diasporas in East Africa. Drawing from a range of disciplinary perspectives including history, religious studies, anthropology and political science, they examine a range of themes relating to Shi'i belief, practice, piety and belonging, as well as relations between Shi'i and non-Shi'i communities.